How it will affect businesses who use Adwords, how it will affect those who rely on organic Google traffic, and what action you need to take now. So, Leonardo di Caprio finally won an Oscar. But like Leo's Oscar, the signs were there. 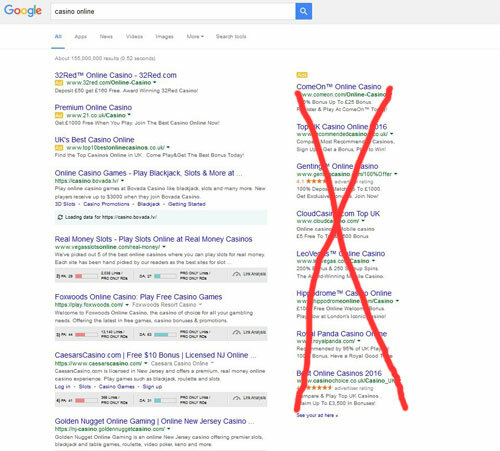 Big G did away with the right hand side ads that show on the search results pages, on Desktop devices . Up to 8 ads used to show on the right. They're now gone.. Nada. Zilch. Nothing. Just whitespace. This leaves us with 3 or 4 ads at the top and 3 at the bottom of the page. We'll look at the implications of this and what you need to do, but first we need to understand why. 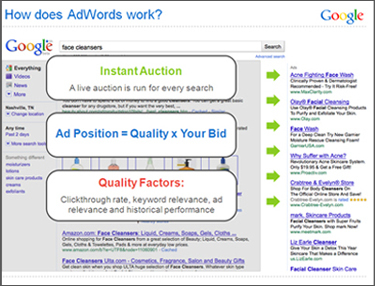 If you are a business owner using Adwords to drive traffic, you'll be massively affected. If you rely on free clicks from Google's organic search results, expect some impact on your traffic from this change. Why have they implemented this change? The official line is that this is a change that will benefit advertisers and users alike. Consistent User Experience seems to be the buzzword for this move. Mobile searches have been increasing year on year, and there were no right side ads on mobile. Google wants to give a consistent experience across all devices. Make it look the same on mobile, tablet, desktop. Where I'm putting my money though, is that it's all a drive to increase profits. Google needs to squeeze every last bit of revenue out of the search results page â€“ it's flagship â€œreal estateâ€�. As a publicly traded company, their duty is to increase profits for shareholders. And the secret to this change lies within their corporate accounts. 2015 Q4 accounts showed advertising revenue increasing by 17%, but the actual aggregate cost per click was down 13% year on year. A hugely worrying trend for Google : They are basically getting less and less for their product (â€œthe ad clickâ€�) and are only growing by selling more of it. But unfortunately for them, they only have a finite amount of adspace. So where does future profit growth come from? It must come from increasing ad click prices. As the OPEC Oil producing nations know only too well, when you restrict supply, prices go up. So, in a nutshell, it's supply & demand. With 8 extra ads on the right, there was quite simply an oversupply of ad space holding back the income from ad clicks. Take them away, and now a bidding war ensues for the 3 or 4 ads at the top, driving overall income upwards. Right side ads were getting less than 15% of total ad clicks - but at a much reduced click cost. They were clearly in terminal decline; everyone knew they were adverts. This means around 85% of ad clicks went to the ads at top of page. And as these top of page ads had higher click costs, it's probable that 95% or more of the ad revenue was coming from just the top 3 positions. Scrap the right hand side, force advertisers to raise their bids 20% or so, and Viola - Google is making way more dollars. The right side space is now freed up and possibly earmarked for more profitable future use (currently product ads appear there for certain searches â€“ more about our suspicions later). There is another possible reason: that it's a bit of a â€œshakedownâ€�. Like a casino, with a finite amount of tables, you want your â€œhigh rollersâ€� in the best seats, pumping in cash. The â€œmom & popâ€� gamblers just detract from the business in hand, and need extra manpower. Google has bent over backwards to provide both telephone & online chat support to SME's using Adwords, where â€œhigh rollersâ€� are skilled enough to not require it. Perhaps this was a factor. If not, it's a useful bonus to them. Encouraging advertisers to try cheaper, less competitive advertising? And lastly, while Adwords is their flagship advertising platform, don't forget their others such as Youtube & Google Display Network. These have plenty of excess inventory, so Google would love to see more advertisers give them a go. Forcing some players from the crowded blackjack tables across to the emptier craps or poker tables would certainly make sound business sense for the big G.
1) Increased competition for fewer ad spots. Advertisers will chase the reduced ad spots, bid more and force prices up. We can see average cost per clicks increasing by up to 20% over the coming months. 2) Adwords accounts will need more time spent on them. More day to day management will be required to ensure your ads don't get bumped out, automatic bids don't get maxed out & ads keep performing etc. This is either time consuming for you as a business, or your PPC agency. 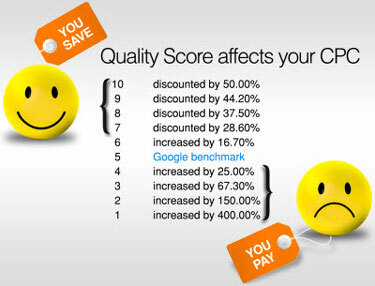 5) Accounts run by low cost or â€œall inclusiveâ€� PPC Management companies will suffer. Companies like Yell, who blur the boundaries between click costs and management fee, will see their clients accounts suffer, as higher click costs and lack of account management time conspire to give an ever decreasing ROI to their clients. And the low cost Â£100 a month PPC managers just won't be able to spend enough time on client accounts to prevent a downwards slide in ROI. Some will argue that with no right side ads, there's more clicks available for the organic listings. Don't think for one minute that Google is that stupid, to give up ad revenue to the â€œfreeâ€� listings. That just won't happen. Those â€œclickersâ€� knew they were clicking ads, so will be attracted to the top 3 or 4 ads instead. Add to that the #1 organic listing will now appear further down the page, and I'd expect to see click through rates on organic Google listings drop somewhat. Which is really just what Google would like, isn't it? Sidenote: As this article goes to â€œpressâ€�, we are already seeing some reports of a reduced 8 organic listings per page. Here's what do you need to do to keep your Ads not only showing, but profitable. 1) Get your campaigns into tip top, fighting fit shape. Now is the time to go over those Quality Scores with a fine toothcomb; ensure your pages are highly relevant to each keyword, re-write and test ads, breakout top performing keywords into their own adgroups etc. All this will ensure you are not over paying for your clicks. 2) Trim excess fat. Irrelevant search queries, poor performing keywords, low CTR ads â€“ they all need culling, as they are just weighing your account down. 3)Track conversions. If you are not tracking conversions, you jolly well need to be ! Whether it's a sale , a telephone call, an enquiry, you need to be able to track it down to the keyword and ad text, so you know what is -and what isn't -working. 4) Squeeze every lead from your website. Test, test, test different landing pages (Please don't tell me you send visitors to your home page?). Small improvements soon add up, and 10 â€“ 20% more enquiries from an improved landing page can really help keep you competitive. 5) Consider hiring a specialist. If any of the above has lost you or got you in a bit of a sweat, now is the time. Many small businesses think they don't spend enough to warrant engaging a specialist PPC company to manage their campaigns. But what we've found is this: We've had many clients who were self managing their Adwords, with a monthly spend of less than Â£1000. The changes we have been able to make, have not only slashed their adspend, but doubled - even tripled â€“ their return from Adwords. The result is a win -win : They pay less for Adwords, improve their ROI & can still afford to pay for specialist Adwords management , freeing up their time. That's our take. Some industry experts - such as Larry Kim (Wordstream) - are positively optimistic that these changes will have nothing but good effects on advertisers. With reduced ad spots, and ever more advertisers being lured into Adwords by Google, the pressure on advertising costs will be one way. Upwards. "Totally changes the game. Much harder to wedge your way IN. And .. makes it harder to STAY on top. Those coveted top spots will be vied for! If you're at the top of Google now -batten down the hatches." Robin Porter has over 10 years experience in PPC and Google Ads. Having managed over Â£6 Million + of Adwords spend, he has helped companies grow in to multi million pound businesses, through the use of Google Adwords.